This campaign seeks to provide a new pair of clothes to 100 children celebrating the true essence of ‘festival of lights’. Our volunteers reach out to these centers on a regular basis to understand their resource needs, education and infrastructural support. We conduct periodical sessions and activities for the children by eminent people who influence society such as IAS officers, Doctors, Police officers etc. Many group activities, brain development games, fitness initiatives, personality development, soft skills improvement, group discussions, encouraging talents such as dancing, singing, painting and so on are conducted on weekly basis. Having interactive workshops, these children relate themselves on an effective path to realize their dreams and ambitions. These orphans from the two children homes do not have proper dresses to wear on occasions such as festivals and birthdays. They depend on local donors who give them used clothes which doesn’t suit the purpose. They often don’t get to wear dresses their size and sometimes they even get damaged/torn ones. It takes Rs. 750/- to buy them happiness. The joy on an orphan’s face would be priceless! To the world you might be little, but to them; you are the world! We will be distributing new clothes and sweaters to the kids tomorrow i.e., Saturday Oct 29th at two of our children homes. 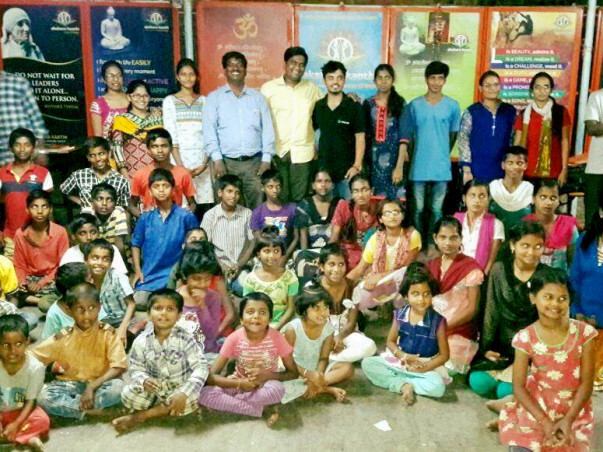 Keerthana Foundation - LB Nagar. We would like to thank all our donors and supporters who have helped us to reach the target in just 12 hours. Thanks to Milaap for giving this platform to put forward our requirements and help us get them. May god bless the children and organisers.